This match is in Cary, not Chapel Hill. UNC-CH's minor sports venues are being remodeled, so the soccer team is playing in Cary this year. How can we watch the UNCW/UNC game, anyone know? Think I found it ROKU, WatchESPN station. (11-19-2017 06:57 PM)82hawk Wrote: Think I found it ROKU, WatchESPN station. Hawks' go down 2-1. We are getting better each year and have shown we can play with anyone. Should help recruiting in the future. 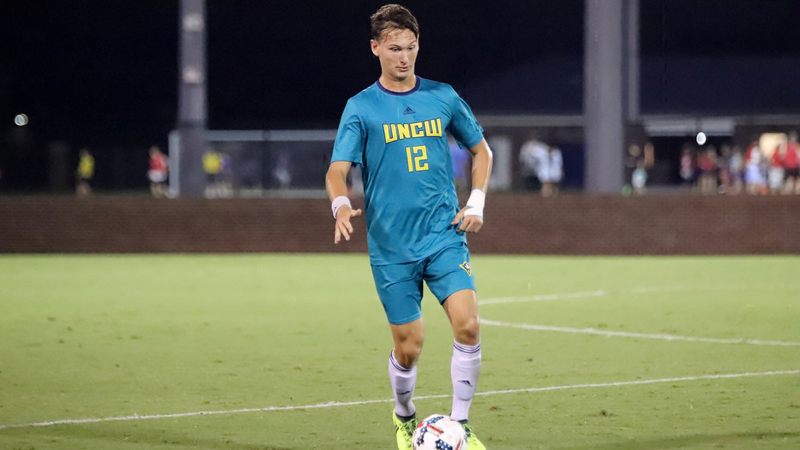 WILMINGTON, North Carolina – UNCW freshman defender Hjalmar Ekdal has been named as a First-Team selection on the College Soccer News and Top Drawer Soccer All-Freshman Teams. Ekdal, the Colonial Athletic Association's Rookie-of-the-Year, earned First-Team All-CAA and NCCSIA All-State notice after starting all 20 games as a freshman. The Stockholm, Sweden, product netted the game-winning goal in the Seahawks' 1-0 victory over No. 3 North Carolina on Sept. 1 to earn CAA Player-of-the-Week honors. He was also named as the CAA Rookie-of-the-Week after receiving Defensive MVP distinction at the Mike Gibbs Memorial Tournament. A Second-Team United Soccer Coaches All-Midwest Region, Ekdal guided the Seahawks to a 12-8-0 record and the second round of the NCAA Tournament. This is a pretty impressive honor!